Presented here are examples of management plans for various kinds of protected areas from strict nature reserves to local village fisheries management plans. In addition, there is a discussion on the reasons for management plans and guidelines for writing a management plan. 01. Why do we have management plans? Most of us try to plan the day ahead and perhaps for longer periods into the future. We desire certain things for ourselves and families, and plan to address those needs and outcomes. Private businesses plan ahead to achieve desirable profits and losses. Militaries develop various contingency plans for certain scenarios. Public agencies and private organisations plan for emergencies and evacuations. Urban planning has been around for a long time, making plans for how a city should use space, resources and so forth. So, planning in various forms is something individuals and societies do for their well-being. Lee, T. and Middleton, J. 2003. Guidelines for Management Planning of Protected Areas. IUCN Gland, Switzerland and Cambridge, UK. Although this guide is written from a global perspective, it has a lot of information that could be useful to managers embarking on a management planning process, or creating plans for suc. How thick should a management plan be? To be sure, there are some thick plans out there heavy enough for use as a door stop. Seriously, a management plan is as thick as it needs to be based upon near term (10-15 years) management needs, legal and regulatory complexity, the environmental setting of the protected area, social and economic issues, resources at the disposal of the team developing the plan, and other factors. In wealthy nations such as the USA, there are abundant resources to develop detailed management plans, a Cadillac version if you will. The U.S. Fish and Wildlife Service, National Park Service, U.S.
King, M., Passfield, K. and Ropeti, R. 2001. 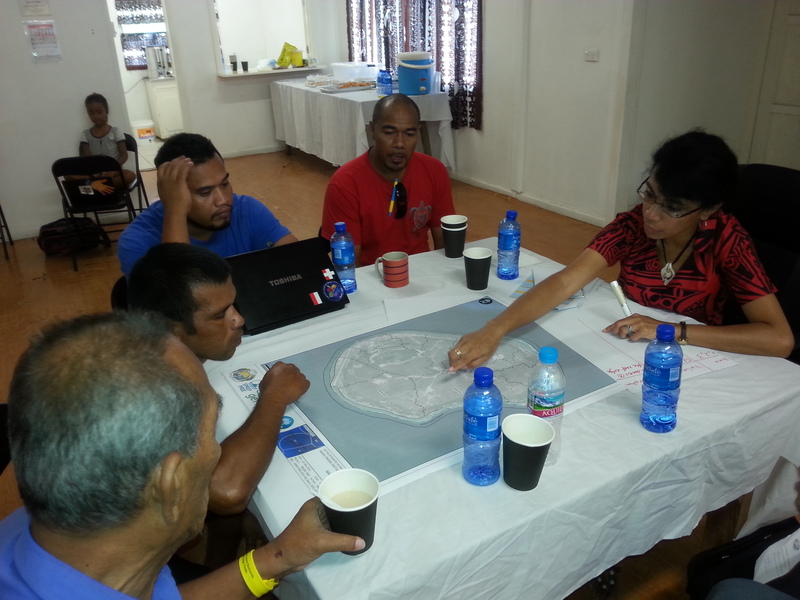 Management of Village Fisheries: Samoa’s Community-based Management Strategy. Samoa currently has more than 80 fish reserves managed by the community with assistance from the Government’s Fisheries Division. This detailed document outlines the process used by communities in Samoa in the preparation of fisheries management plans and the establishment of fish reserves. It describes some of the activities to carry out with communities (e.g. problem/solution trees) and has descriptions of some of the regulations that communities can propose as fisheries management measures (e.g., limiting the number of fishers). King, M, Lambeth, L. 2000. Fisheries Management By Communities: A Manual on Promoting the Management of Subsistence Fisheries by Pacific Island Communities. Secretariat of the Pacific Community, Noumea, New Caledonia. This manual is about community-based fisheries management. It provides guidelines and suggestions on how communities can be encouraged to take a leading role in the management of their fisheries and the marine environment. It promotes the Samoan model as a success story that could be transferred to other parts of the Pacific. It provides substantial background information on fisheries in the Pacific Islands, including marine ecology, fishing techniques and gear types and more. How does one incorporate climate change into a protected area management plan? Incorporating climate change components into protected area planning is a relatively new field and for some practitioners has not been considered in management planning or implementation. The biodiversity conservation community is tackling large, complex, and urgent environmental problems where the stakes are high. People around the world are counting on us; they trust us, they work alongside us, and they are giving us significant resources to act effectively to save the planet. But we have a problem – we don’t have a fully functional system to assess the effectiveness of our actions. While many inspiring advances have been made, few conservation organizations can say consistently what is working, what could be improved, and what approaches need to be changed. Biological Rapid Assessments are undertaken to facilitate improved management of terrestral and aquatic landscapes. In general, the assessments fill key gaps in the knowledge of important but poorly studied regionss. This information is used to make better informed decisions on the conservation management of the biodiversity in an area in conjunction with land-owning communities, relevant government departments and other partners. The mission of the Conservation Coaches Network is to catalyze transformational conservation by empowering people to develop, implement, evaluate, adapt and share effective strategies that achieve tangible conservation results benefitting people and nature all over the world. An engaged conservation community working in a collaborative, transparent, and respectful manner, with the knowledge that the approaches and interventions it is using are likely to achieve measurable long-term success. ■ Take account of the IUCN Red List status of species. ■ Enable the identification of priority habitats or areas based on those species. Invasive species’ (often called pests, weeds and diseases) are plants, animals, disease agents and other organisms taken beyond their natural range by people, deliberately or unintentionally, and which become destructive to the environment or human livelihoods. Islands are particularly vulnerable to invasive species, owing to the evolution of their native animals and plants in isolation from predators and diseases, and the dependence of island peoples on imports, travel and tourism, which lead to high rates of arrival of new pests. These Guidelines are designed to assist anyone planning and programming the management of invasive species on islands, with the aim of reducing the negative impacts of invasives on islands’ rich and fragile natural heritage, communities and livelihoods. These guidelines, prepared by the Privately Protected Areas and Nature Stewardship Specialist Group of the IUCN World Commission on Protected Areas, offer a range of best practices for establishing PPAs and securing effective longterm conservation on private properties. They offer specific guidance applicable to areas under private governance and management, including appropriate legal and institutional arrangements and useful insights into funding mechanisms. These guidelines discuss different options and instruments for establishing and managing PPAs, drawing on a diversity of PPAs from around the world. In 2017, following growing public concerns about saltwater crocodile attacks on people, the Ministry of Environment, Climate Change, Disaster Management and Meteorology (MECDM), the Ministry of Fisheries and Marine Resources (MFMR) and WorldFish conducted a nationwide survey to collect detailed information on the extent and characteristics of human-crocodile conflicts. This report summarizes the main findings of the survey. The following sections provide information on the ecology of the species and its cultural significance in Solomon Islands, details on the survey methods, and the main results. In the conclusion, several practical recommendations have been listed for the national government.